Apart from a few mistakes, I’m very happy with this 2.5 hour session on this stunning region of deep space! Easily one of my favourite southern sky regions – it’s the complete package! 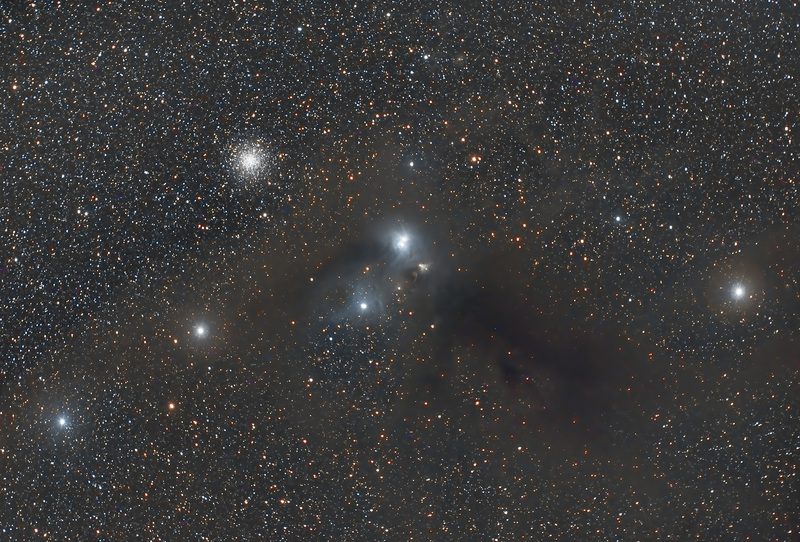 Away from the flashy and crowded milky way regions, the Corona Australis Molecular cloud is a beautiful mix of dark and reflection nebulas. The two brighter blue stars in the middle are both binary stars, but you can only tell by the double diffraction spikes on the lower one as they are so close together. The brightest binary is a variable star system which means it dims and brightens over weeks and months. They are young stars, still collecting mass. The beautiful globular cluster above it makes the whole area quite compelling!